Leaving the television on for background noise may be harming the development of many American children, new research suggests. Previous studies suggest television exposure has been linked to children being less likely to pay attention during playtime, reduced cognitive abilities, and lower-quality interactions between parents and their children. Despite these negative effects, researchers have been unsure of how big of a problem background television watching is among families. The new study found it's a prevalent problem in American homes. "Our results indicate that children are exposed to a tremendous amount of background TV," wrote the researchers, led by Matthew Lapierre, a communications researcher at the University of North Carolina at Wilmington. For the study, published in the Oct. 1 issue of Pediatrics, researchers surveyed more than 1,450 U.S. families with a child between the ages of eight months and 8 years old. They found children on average were exposed to almost four hours of background television each day. Children under 24 months were exposed to an average of 5.5 hours of background TV each day, rates that fell as children aged. The oldest children in the study between 6 and 8 years old were exposed to less than half that amount, only 2 hours and 45 minutes per day. Besides age, other factors contributed to differences in background TV rates. African American children were exposed to more than 5 hours and 30 minutes of background television each day on average, about 45 percent more than the average child. Asian American children were found to have the least exposure at fewer than 2 hours and 30 minutes of background TV per day. Children from low-income families were subjected to almost six hours of background television per day while kids whose families were above the poverty threshold were exposed to about 3 hours and 30 minutes. "This is concerning because past research has shown that children from these demographic groups are typically at risk for other social and cognitive problems," the researchers wrote, including struggles with self-regulation that may lead to higher rates of obesity. Living in a single-parent home meant an average of more than five hours of daily background television, while living with both parents reduced background TV-time to about 3 hours 30 minutes per day. Also, as parent education increased, background television exposure at home decreased. Study co-author Dr. Jessica Taylor Piotrowski, an associate professor of communication research at the University of Amsterdam, told WebMD that noises from TV disrupt a child's development of skills such as problem solving and communication that he or she can gain through play. The researchers think some parents may leave on the television in children too young to speak to fill the void of silence and provide additional stimulation. Parents should start by limiting the amount of television they're watching when a child is playing nearby. "In some ways, parents might just sort of feel like the TV isn't for the kids. They think young kids don't understand it. They're playing, and I'm watching something," Piotrowski told WebMD. Parents can also simply shut the TV off when no one is watching, turn off the TV at key times like bedtime and during meals and remove the TV from a child's bedroom. Children in families who left the television on when no one was watching, and children who had TV sets in their bedrooms were exposed to more background TV in the study. 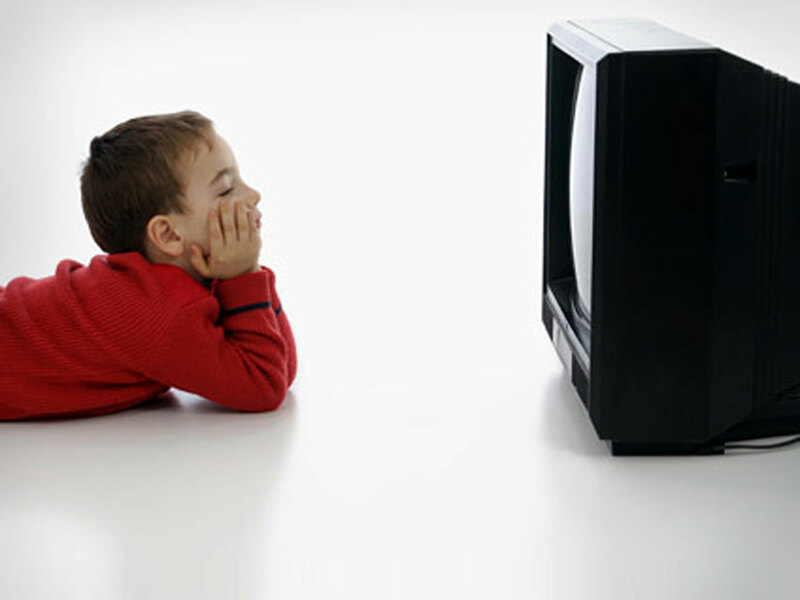 The American Academy of Pediatrics recommends no television at all for children younger than 2 years old.